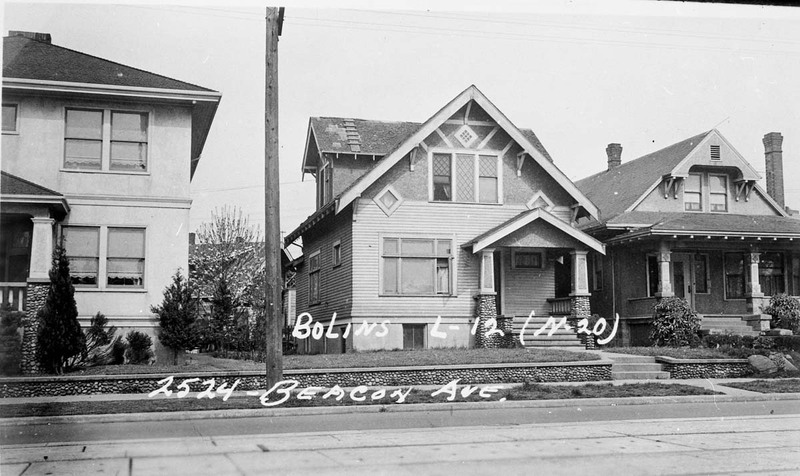 That day The Seattle Times reported that the 2,000,000 W.P.A. check in Washington State had just been paid out. 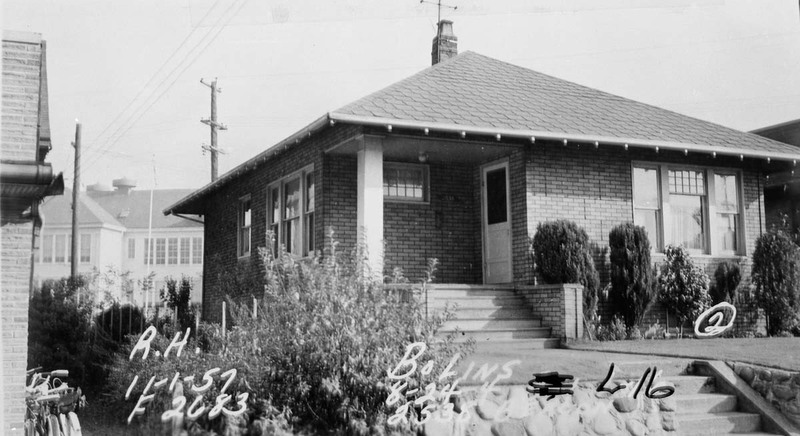 It was the fourth year for the “New Deal,” Pres. Roosevelt and the Democrats federal programs to spirit the economy and make work for the out-of-work. The Works Progress Administration (WPA) made the federal government by far the largest employer in the Union. 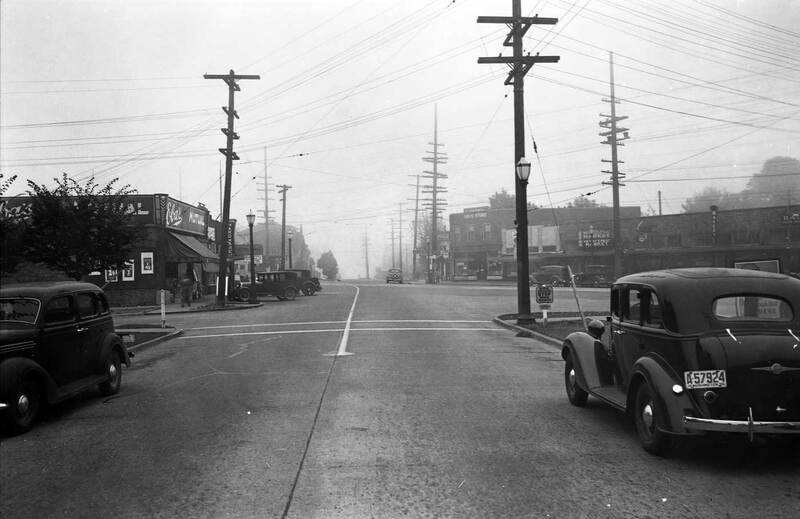 By The Seattle Times’ theatre listings this day we discover that the Beacon Theatre, here on the left, featured tough guy George Brent in Mountain Justice. 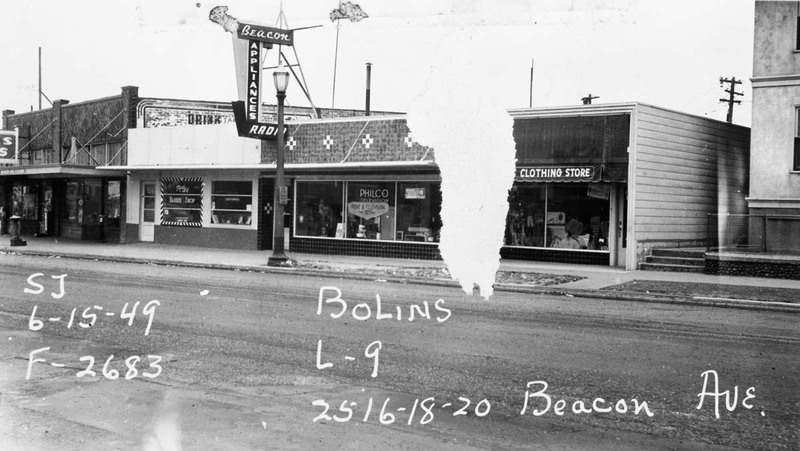 Including the Beacon, eleven of King County’s sixteen Sterling Theatres were neighborhood venues, showing features second run. 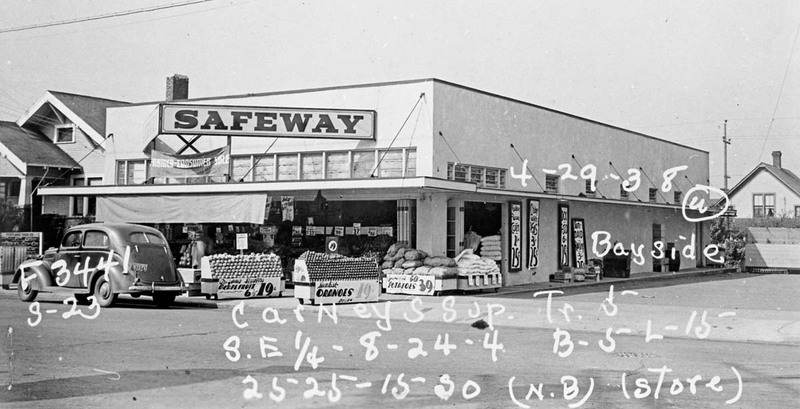 The Piggly Wiggly, far right, was part of a market chain that flourished by promoting self-service in grocery shopping. 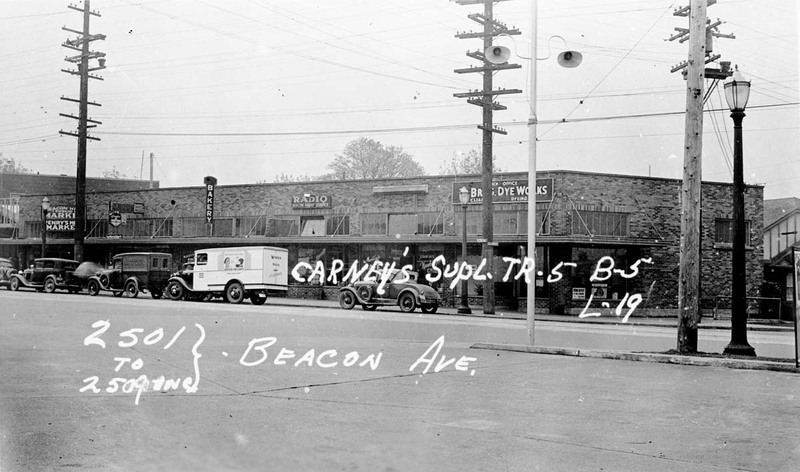 By 1937 most of Seattle’s Piggly Wigglys had been converted into Safeway stores, a fate that soon fell on this little Beacon Hill Piggly Wiggly. 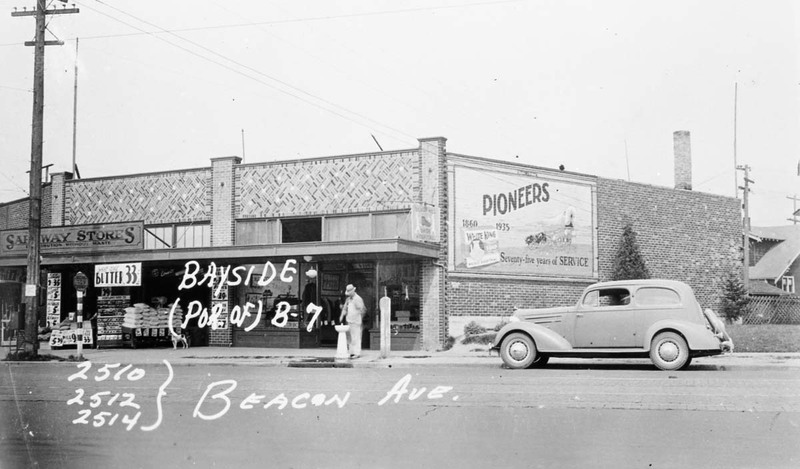 Beacon Hardware, just beyond the grocery, opened in the mid 1920s, and stayed so though the Great Depression. It is last listed in this newspaper in 1965. Yup Jean. 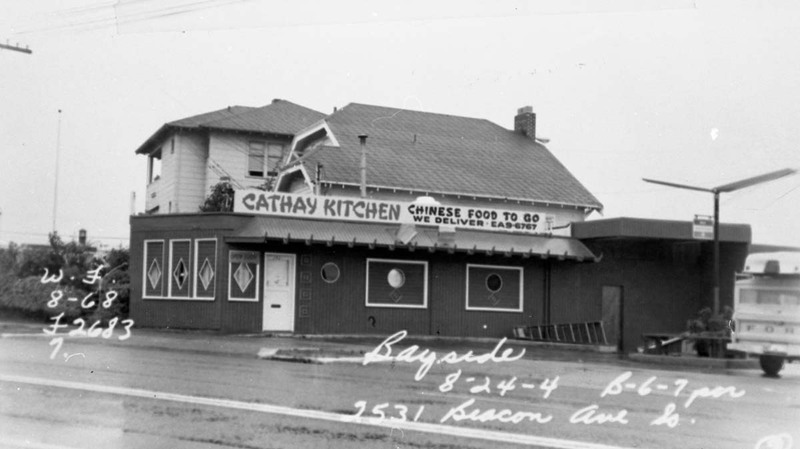 First Ron Edge will again insert a feature – with its own additions – that we put up a few months past, which was for the most part about the Beacon Hill prospect of Seattle. 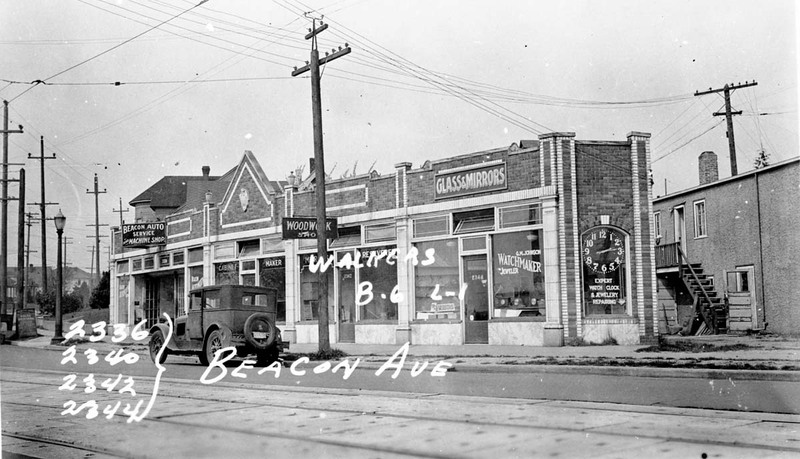 Then from the Washington State Archive I’ll put up a few WPA Tax photos out of of the same Beacon Ave. intersection as our above feature. These additions will feel at home – and also in need – for our primary image has also been pulled from the shadows of the Great Depression. I’ll conclude with a key-word search for “Beacon” and see what might come forward from with tiring MAC worth mounting. No doubt, Ron will have already uncovered some of it in what follows. 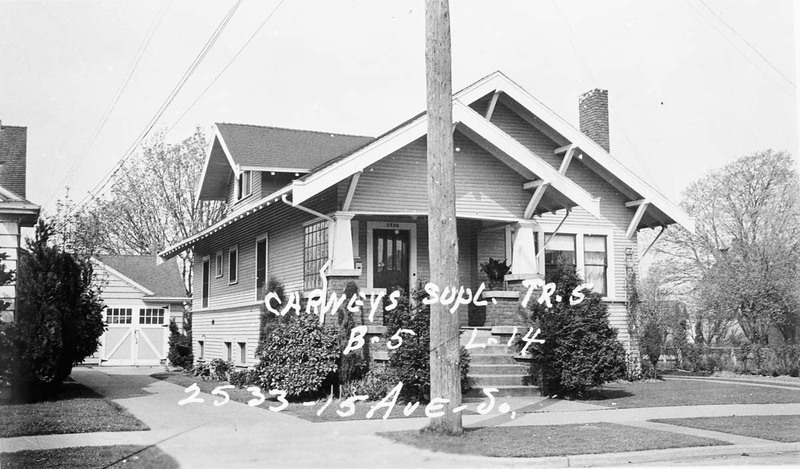 As the tax caption notes this 2517-19 15th Ave. S. and so just west of Beacon Avenue, which is off-frame to the right. 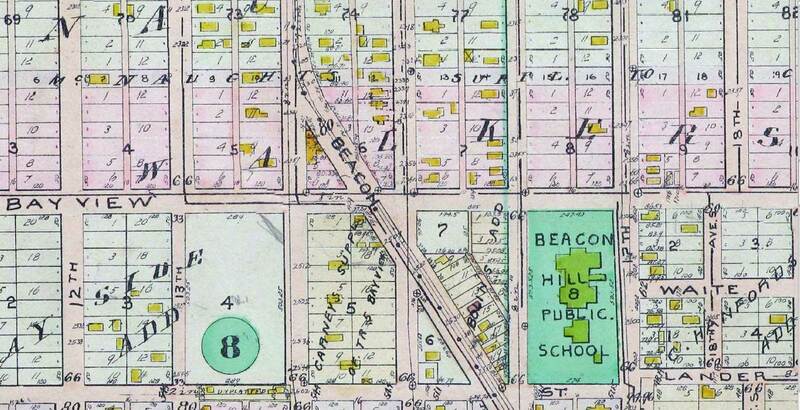 More of the west side of 15th Ave. S. and Beacon Ave. S. at 2515 Beacon Ave. 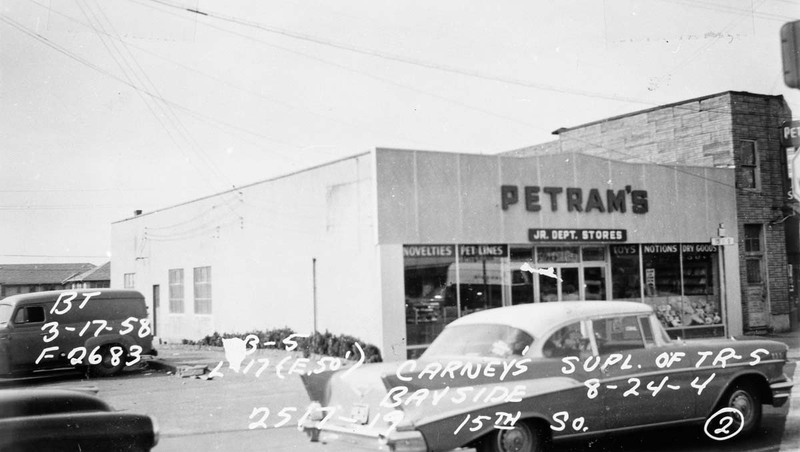 Note the remodel of what appears to be a residence for incarnation as a shop, right-of-center. 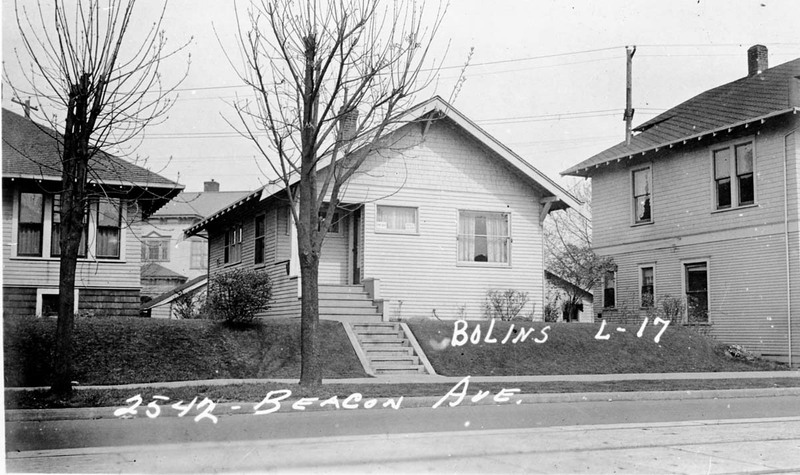 Same 2500 (even east side) block on Beacon Avenue, but now with the remodel work far left. 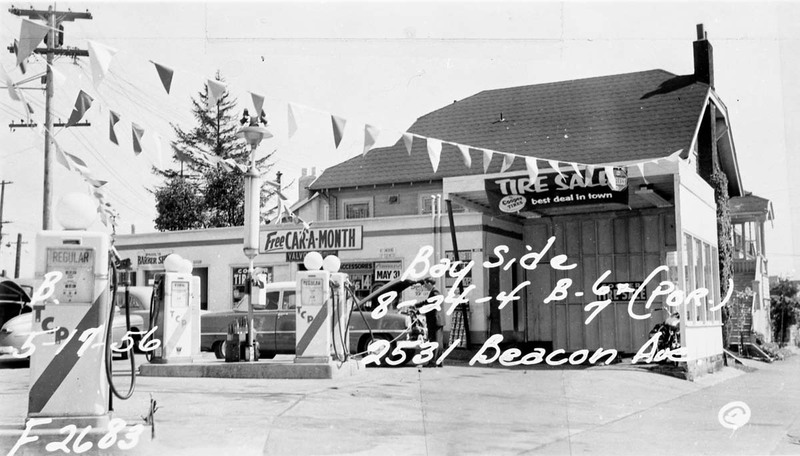 1513-15 Beacon Ave. with remodeled storefront showing its years, right-of-center, in 1957. 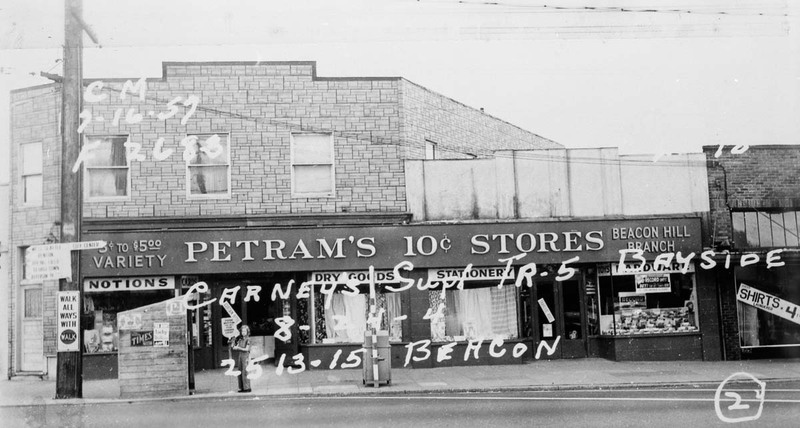 The faux stone asbestos above Petram’s 10-cent Store lends its effects as well. 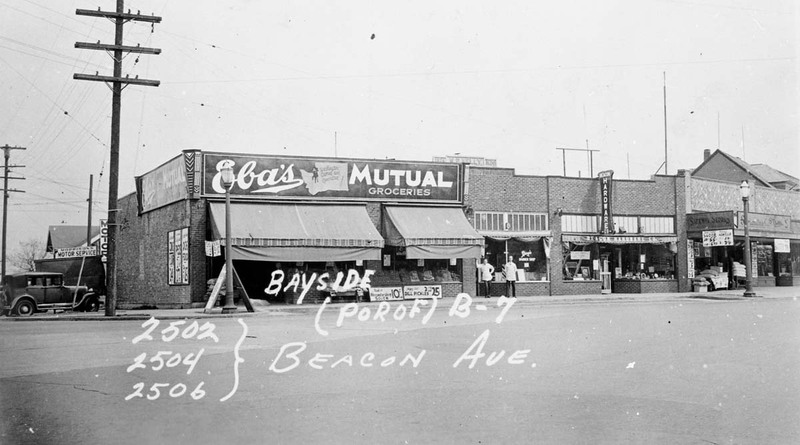 2502 – 2506 Beacon Ave, with early Safeway on far right – the southeast corner of 15th Ave. S. and Bayview Street. 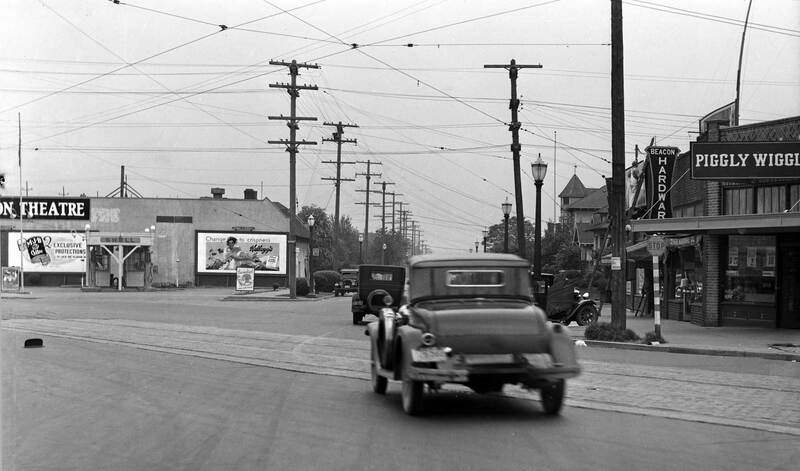 2510,-12,-14 Beacon Ave. with an early Safeway. 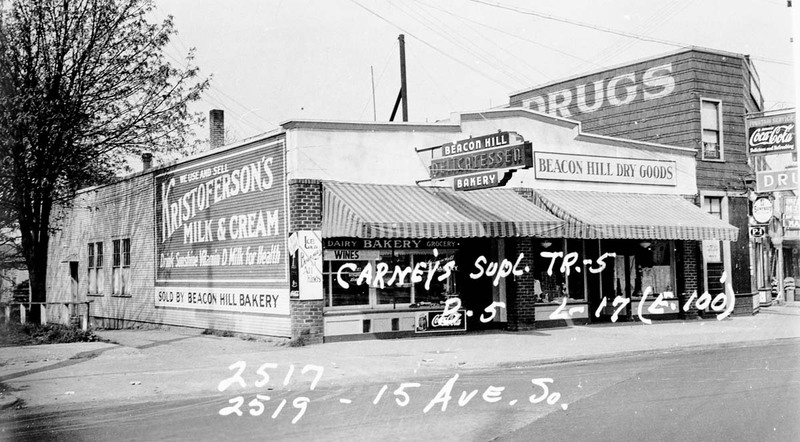 A torn print for 1949 record of 2516-18-20 Beacon Ave.
A newer Safeway at 2523 15th Ave. S. mid-block to Lander, 4-29-1938. 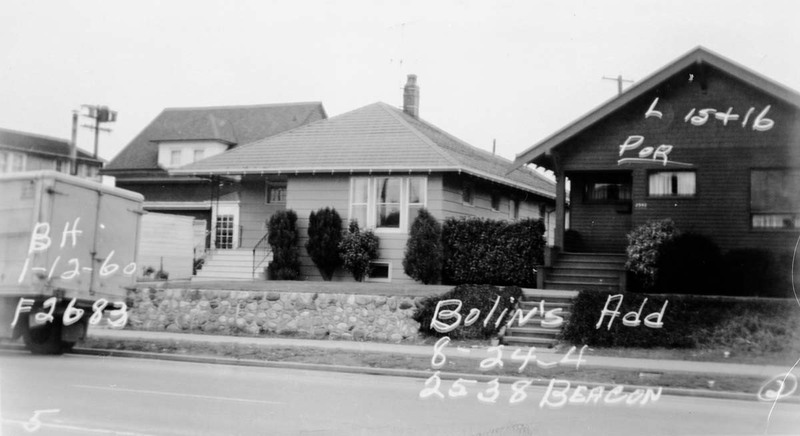 One door south of Safeway (eventually) at 2533 15th Ave.South. 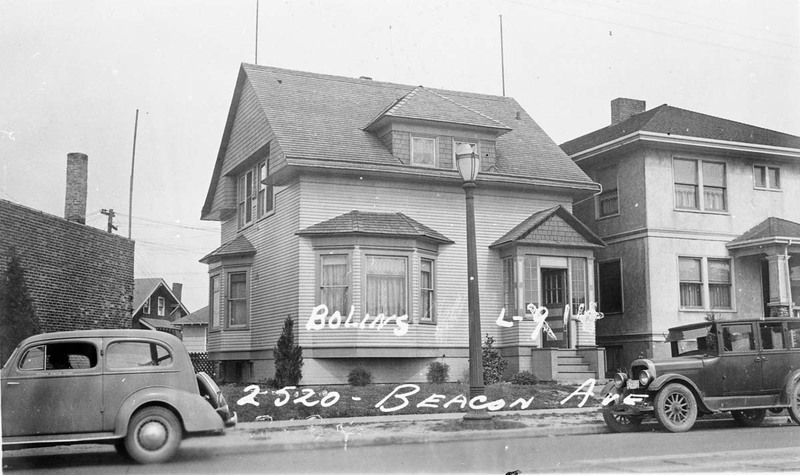 Later at 2524 Beacon Ave. S.
And later yet – late enough for landscape at 2530 Beacon Ave S. and a distinguished City Light standard. 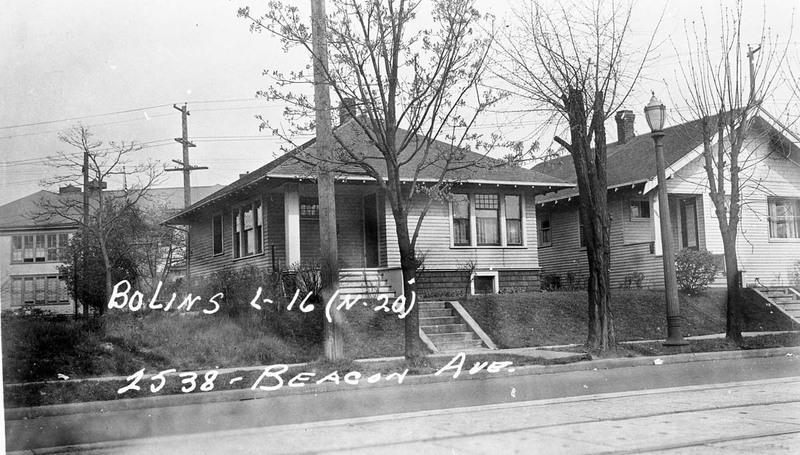 2524 Beacon Ave. S. with Bug May 12, 1965. 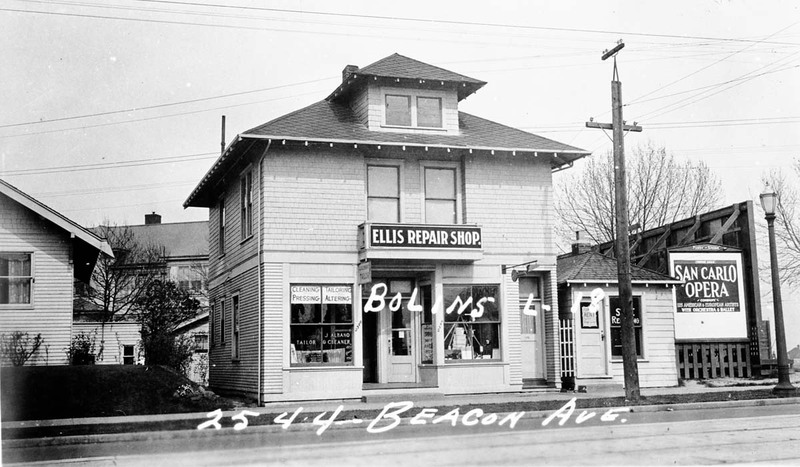 2544 Beacon Ave. S. with Ellis Repair Sign facing Beacon Ave. S.. 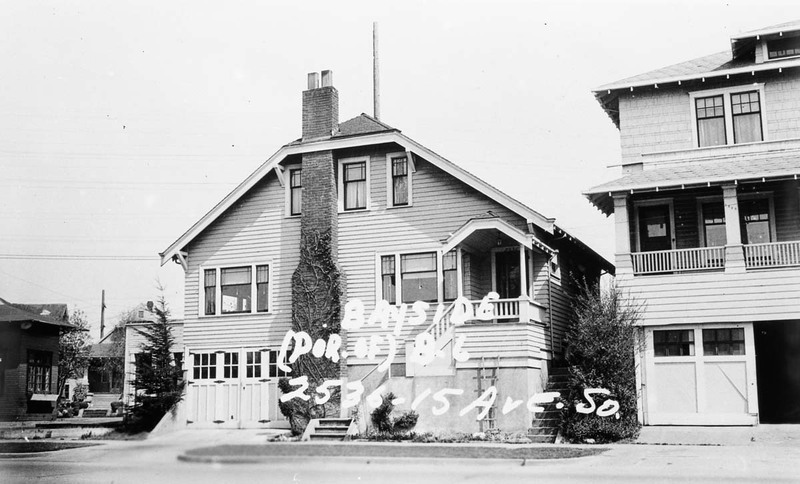 There is also a shop in back facing 16th Ave. S. with the Beacon Hill Primary School (seen here in part) across 16th to the East. 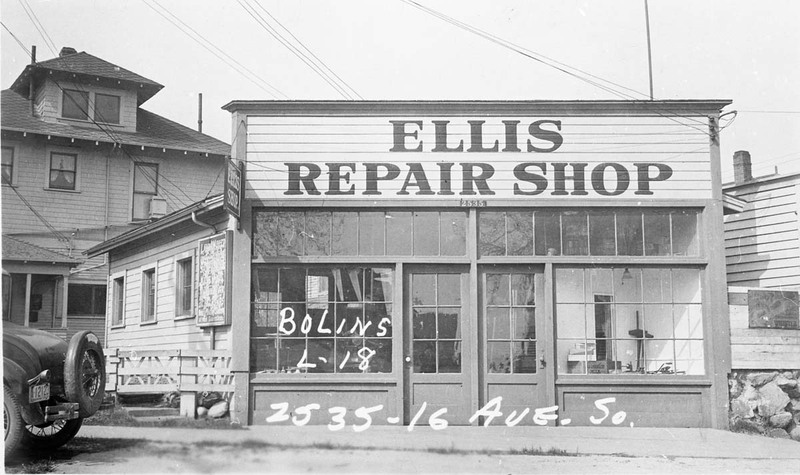 The 16th Ave. S. side of the Ellis Repair Shop. 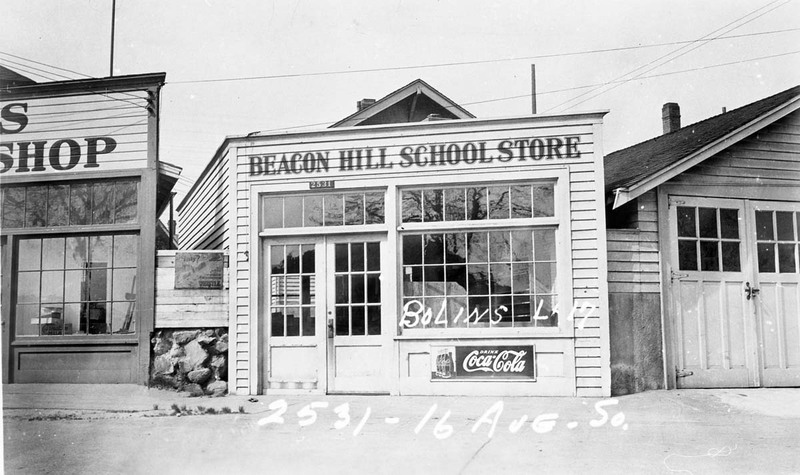 The Beacon Hill School Store, next door to Ellis and also on 16th Ave. S.
The Shell Station at 2535 Beacon Ave. S., in the now lost triangle south of Bayview Street. 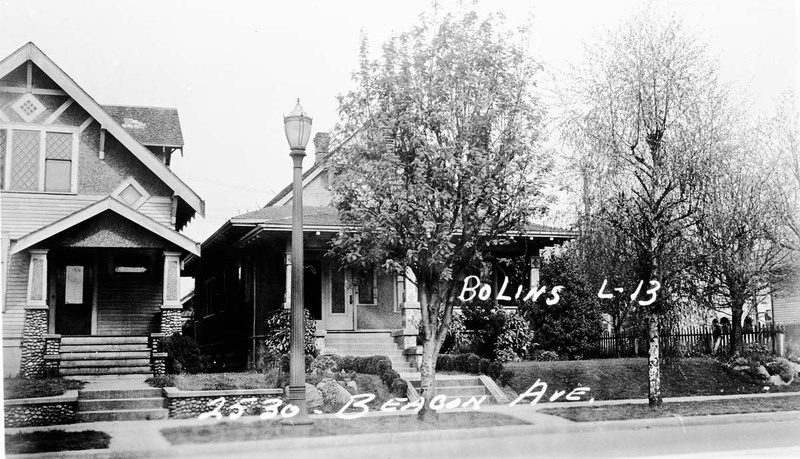 The two-story brick apartment, right of center, is at the southwest corner of 15th Ave. S. and Lander Street. 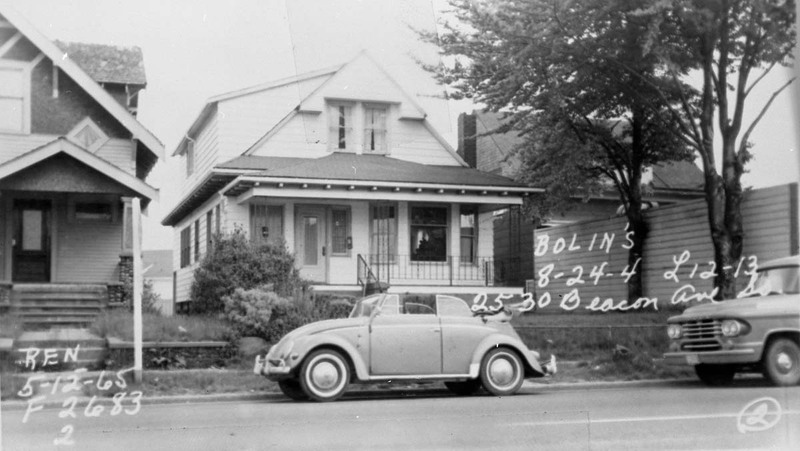 Shell no longer – but the home beyond abides. 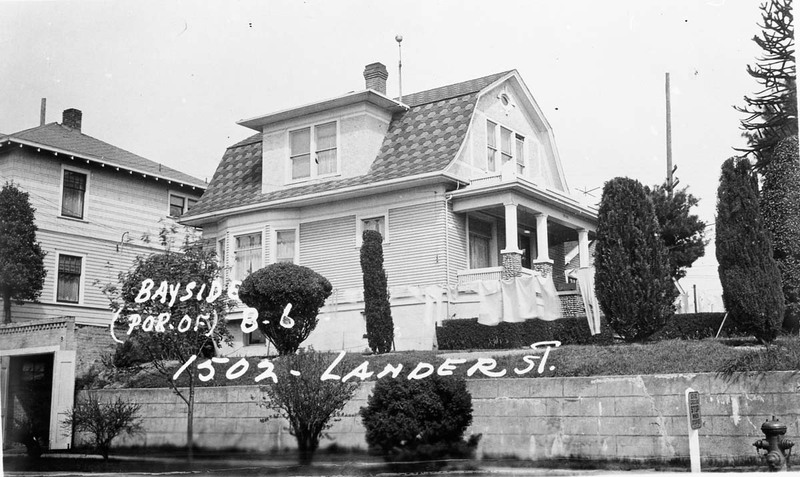 The “abiding” home at 2536 15th Ave. S.
The neighbor to the south at 2538 15th Ave. S.
The neighbor at the northeast corner of Lander St. and 15th Ave. N.. addressed 1502 Lander Street. 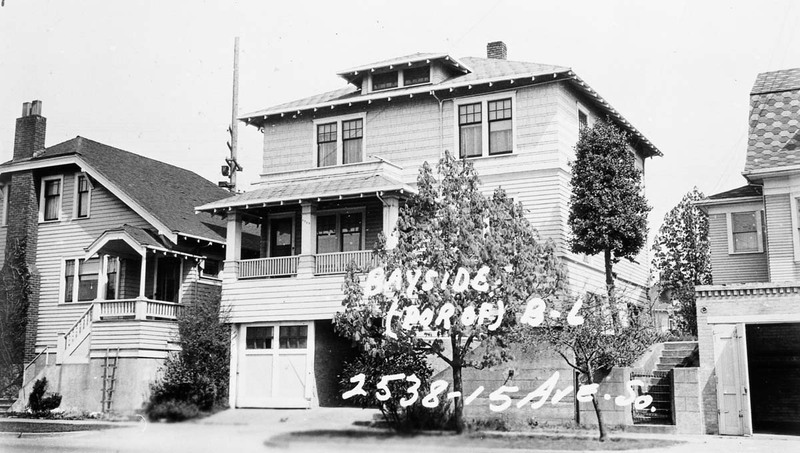 2336 to 2344 Beacon Ave. S., the east side of Beacon north of alley north of Bayview. 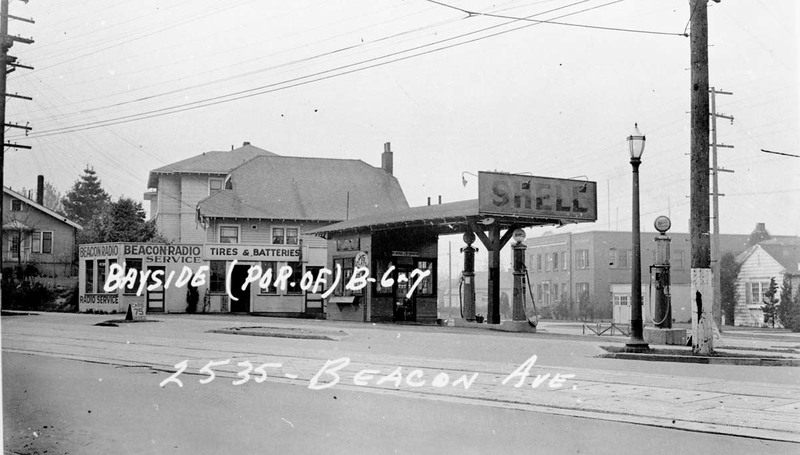 Interesting that there is still a Shell station in approximately the same location in both photos. 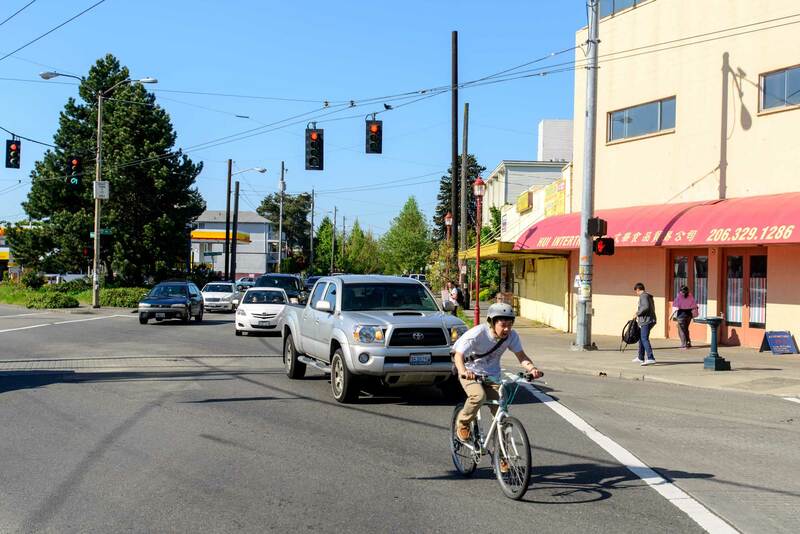 That is a neat area – really coming back after a couple decades of deterioration. There is another little building just a couple blocks away on 14th that is interesting as well – see google map link below.